I give credit to any bar and grill that can stay in business for years in downtown Lockport, because that is not an easy thing to do. Lock 34 has shown that not only is it capable of sustaining itself in that difficult business climate, but it thrives. There is so much to Lock 34 that one review won't do it justice, but I will give it a try! There is always something going on at Lock 34 because the place has so many different things to offer. You can have lunch or dinner there, you can go for some nightlife which is always done in a very comfortable and accessible way, or you can rent their back patio for your event. I have gone to several events at Lock 34 and they always do it right. The service is great and the food is always amazing. I have done pretty much everything there is to do at Lock 34 and I have yet to have a bad experience. I have had lunch and dinner there, went to a few functions on the patio, checked out a few local bands, and have gone there just to hang out. The ambiance is always relaxed, the servers are always cordial, and the service is always excellent. Even on very busy nights, I have noticed that the service at Lock 34 is great. Every restaurant slows down when the busy time of the day comes around, but there are so many busy times at Lock 34 that they have everything down to a science. The only aspect of Lock 34 I have not experienced is their catering, but I would imagine it is no different than the the patio events they offer as far as food quality and service go. If you go to the Lock 34 website, you will notice that they have several options for catering, which makes them extremely versatile and a good choice for any event. I like the menu at Lock 34 for a lot of reasons, but one of the biggest is how much attention Lock 34 puts on establishing their own ideas and products while avoiding generic product names. From Kenan quesadillas to their Outwater Drive pizza, it is obvious that Lock 34 is interested in living up to its own image of being an intricate part of Lockport. After all, that is where the name Lock 34 comes from in the first place. In a lunch or dinner setting, the service is excellent. I have had plenty of menu items from Lock 34 and have never had a problem with any of them. Their specialty pizzas and burgers are incredible, and even their appetizers are worth talking about. The only issue I have with Lock 34 is that their prices tend to be higher than just about any other place in Lockport. There is plenty of value in what you pay for, but the bill at the end of the night can be pretty steep. Lock 34 has been around a long time, and I would suspect it will be around a lot longer. If you have a chance, stop into Lock 34 for lunch or dinner and see what I am talking about. If you are sitting at home looking for something to do on a Friday or Saturday night, then it is worth a few minutes just to see how Lock 34 does nightlife right. 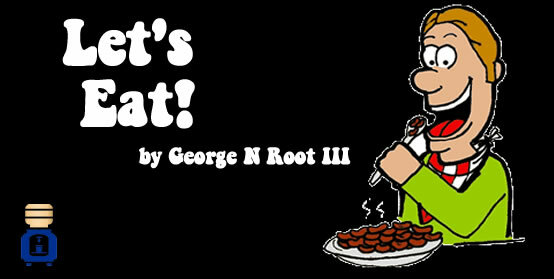 George N Root III loves food and loves local restaurants. Follow him on Twitter @georgenroot3, or send him an email at georgenroot3@gmail.com.